Welcome! We just came across a brand new Weibo data report that we think you’ll find extremely interesting. The original Chinese report was published by Penguin Intelligence, a data intelligence agency owned by Tencent, and is based on data collected through sample surveys. 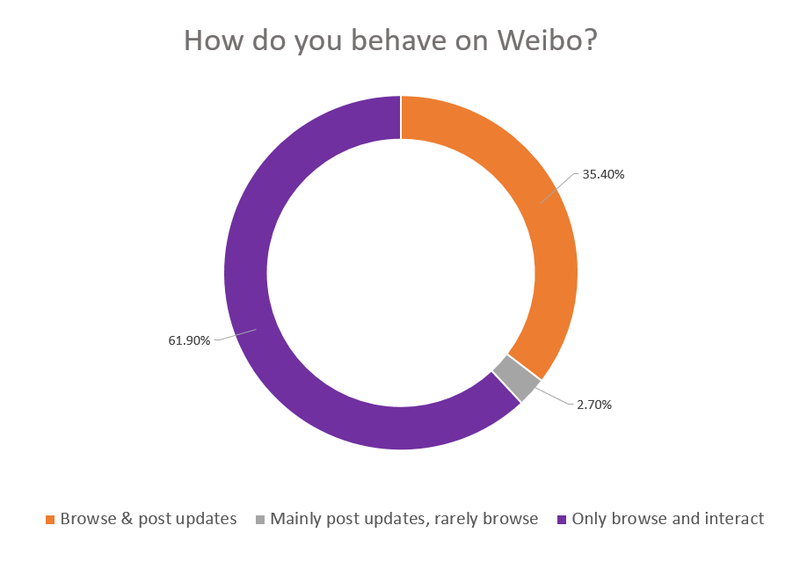 The report gives us some insights into how users behave on Weibo, to what extent they’re willing to consume, and why they use the platform in the first place. 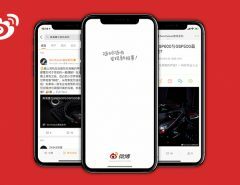 In order to provide you with some context, below you will find a timeline of the most important events that have impacted Weibo over the last 5 years. Now let’s take a look at the number of daily and monthly active users on Weibo as well as the income the platform has generated over the last 2 years. As you can see, the number of daily and monthly active users on Weibo is steadily increasing along with net profits. 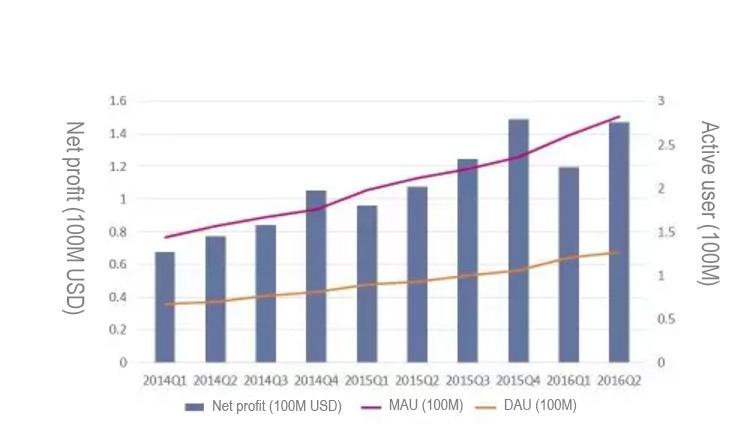 There were approximately 2.75 Billion MAU on Weibo in the 2nd quarter of 2016, that’s an increase of over 1 billion monthly active users when compared to the 2nd quarter of 2014. Let’s take things a step further and compare Weibo’s performance to that of its competitors. Below you will find a graph illustrating the average time users spend on a range of social media platforms each day. 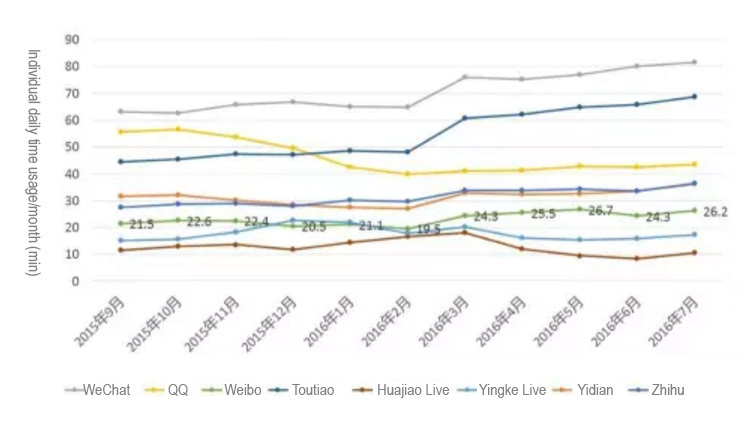 Although Weibo users spend considerably less time on the platform when compared to their WeChat counterparts, we can still observe a definite increase in Weibo’s performance. Over the last 8 months, the average time users spend on Weibo each day has increased by almost 22%! Great, so now that you’ve got a slightly better understanding of Weibo’s evolution over the last few years, let’s get stuck into the survey data shall we? Let’s start off with the basics. 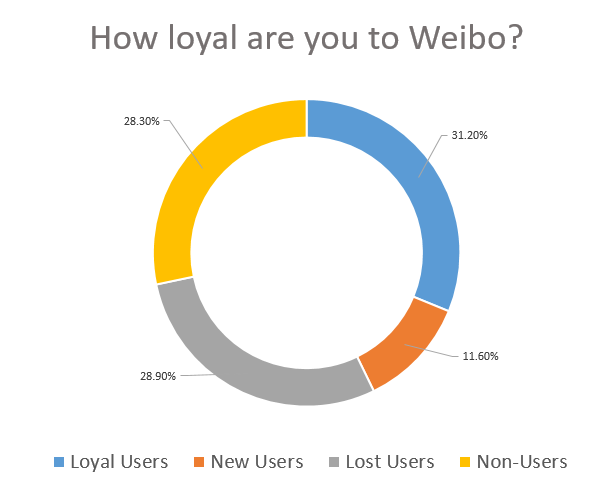 How many of the survey participants are new users on Weibo? How many have been using Weibo for a while and how many have recently left the platform? Interestingly, over half of the survey participants have either never used Weibo or have decided to stop using it. 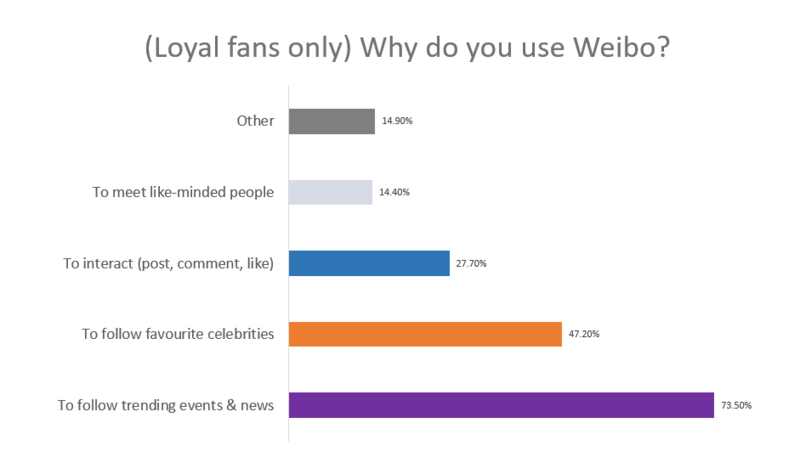 Out of the 40% of participants that said they use Weibo, 3/4 of them have been regular users for some time already. 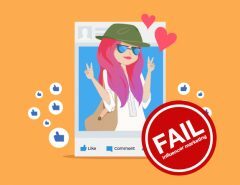 Let’s take a closer look at those loyal users and the reasons that encourage them to continue using the platform. According to these results, users mainly use the platform to follow news and their favourite celebrities. Surprisingly, interacting with the platform’s content is only the 3rd reason for which people use Weibo. We’ll take a closer look at user behaviour in the next section. Now let’s go over to the users who left the platform and ask them what pushed them to stop using Weibo. 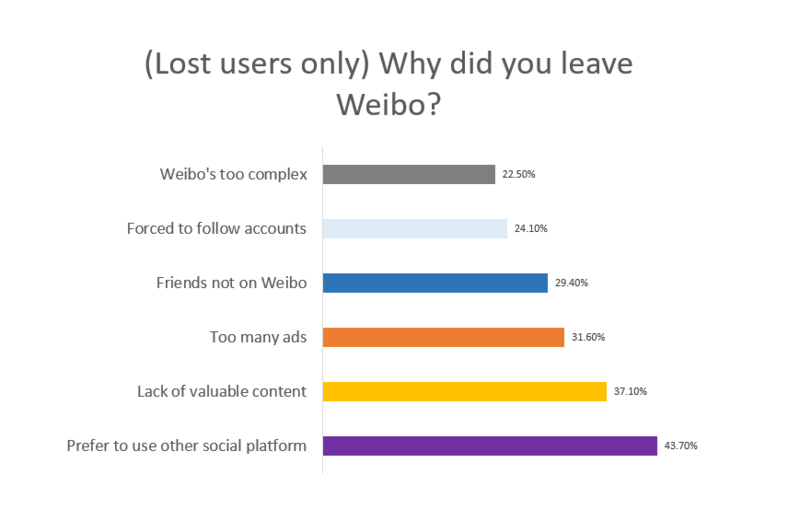 Based on the fact that users leave Weibo to use a different social media platform, but also to avoid ads, there’s a good chance the importance WeChat gives to user experience is a defining factor in their departure from Weibo. Being forced to follow accounts is visibly an issue that annoys Weibo users. 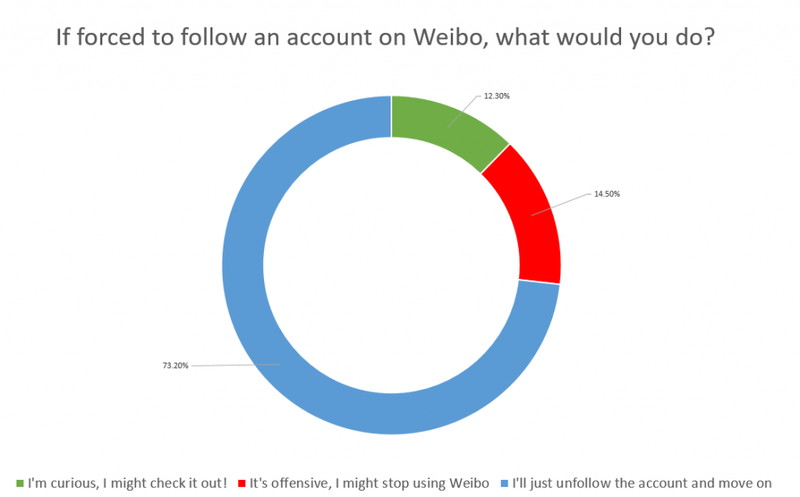 But how would most Weibo users react if they were forced to follow an account? 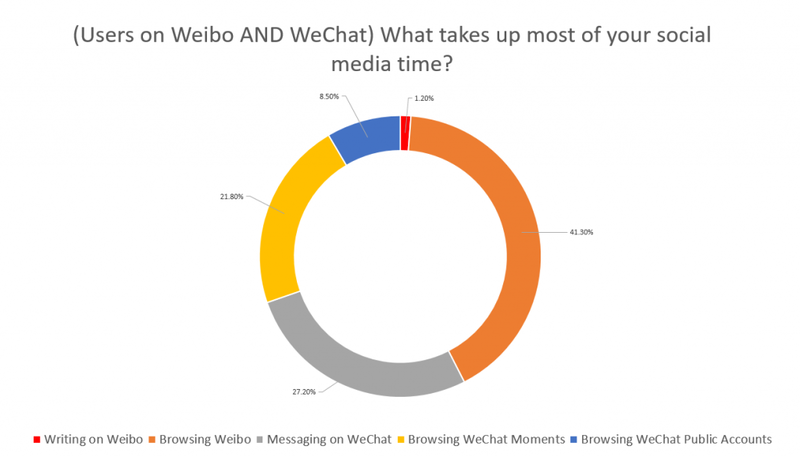 Coming back to what we were just saying about WeChat, it would be interesting to know what online activities take up the time of those users who use Weibo and WeChat, wouldn’t it? 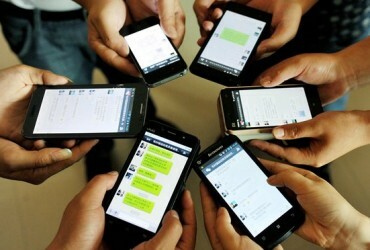 What about users who solely use Weibo? In both cases, browsing content and following popular accounts is clearly the main reason that encourages people to use Weibo. But what types of news/accounts interest users the most? As opposed to WeChat, which users mainly use to message their friends and family, Weibo is primarily used to follow celebrity, lifestyle and media news. So we know what kind of content users like the most, but we still don’t know what forms of content attract them. It’s time we found out! So there you have it. 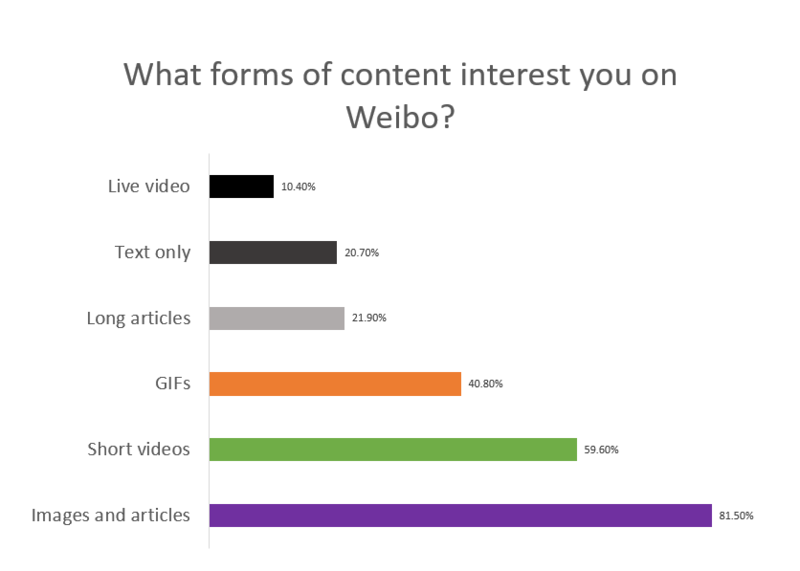 Images, GIFS and videos are the forms of content that Weibo users like the most. Nothing too surprising there then! Moving on, we’re going to take a look at Weibo’s 3 “purposes” as defined by Penguin Intelligence. Those purposes are to distribute news, to generate commercial transactions and to stimulate social interactions. We’ve already gone over social interections, so let’s move on to Weibo’s distribution of news. It’s a known fact that more and more internet users use social media to follow the news. 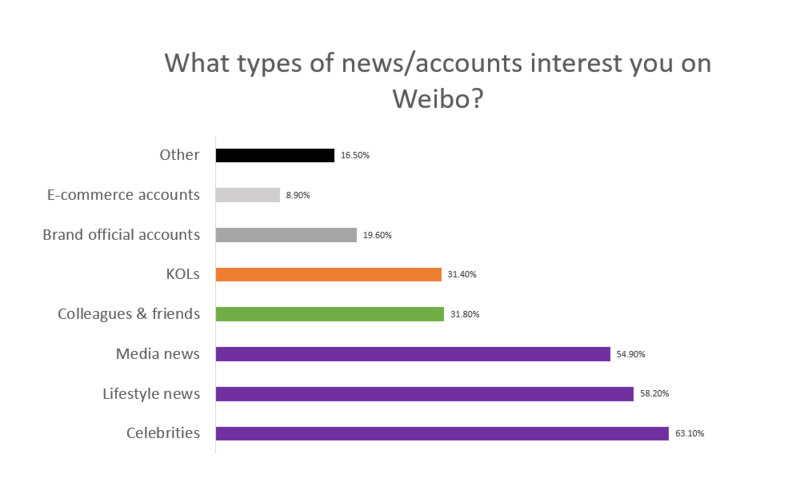 But do Weibo users actually use the platform as their primary resource when following the news? Apparently not! 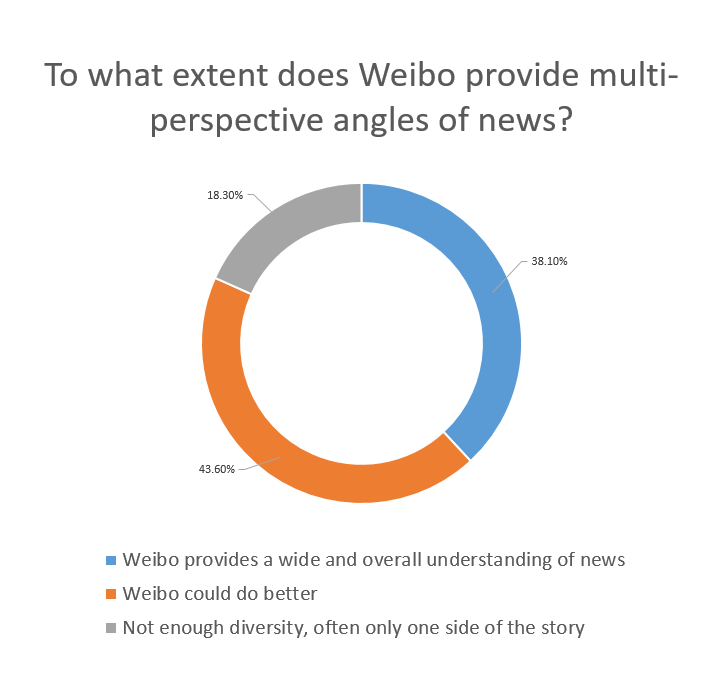 In most cases, Weibo users use the platform as their second resource when following the news. In all honesty though, that’s quite impressive. In total, almost 70% of Weibo users use Weibo as their primary or secondary resource. So why do so many users privilege Weibo over local newspapers, national TV and so on? And why do others tend to look elsewhere? Maybe it has something to do with Weibo’s approach when covering the news, right? Let’s take a look! 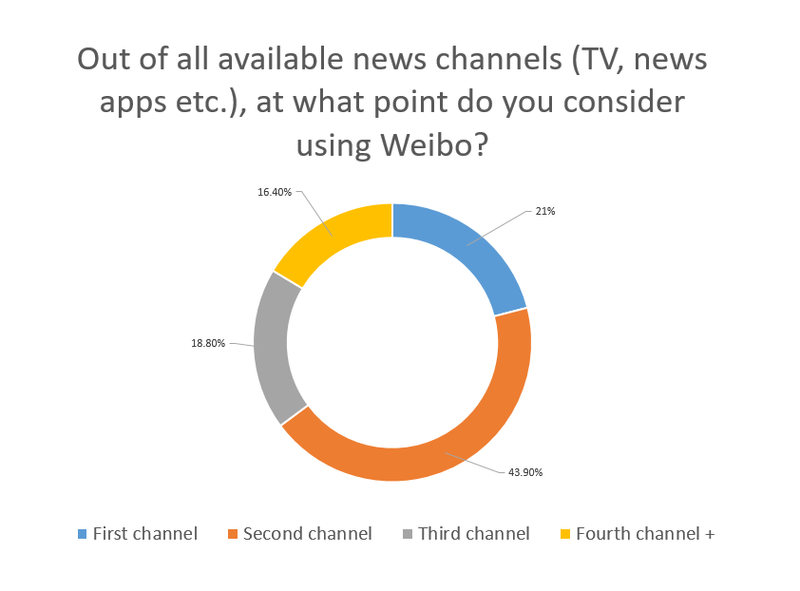 Approximately 62% of the survey participants believe that Weibo’s approach to the news is either too one-sided or could be improved. Yet 70% of Weibo users use Weibo as their primary or secondary news resource.. That’s a bit strange. To conclude, let’s move on to Weibo’s 3rd purpose, generating commercial transactions. What we all really want to know is how many Weibo users are willing to purchase something on the platform. Fortunately for us, Penguin Intelligence asked a survey sample if they’d ever paid for something using Weibo and if so, what for. Hoorah! 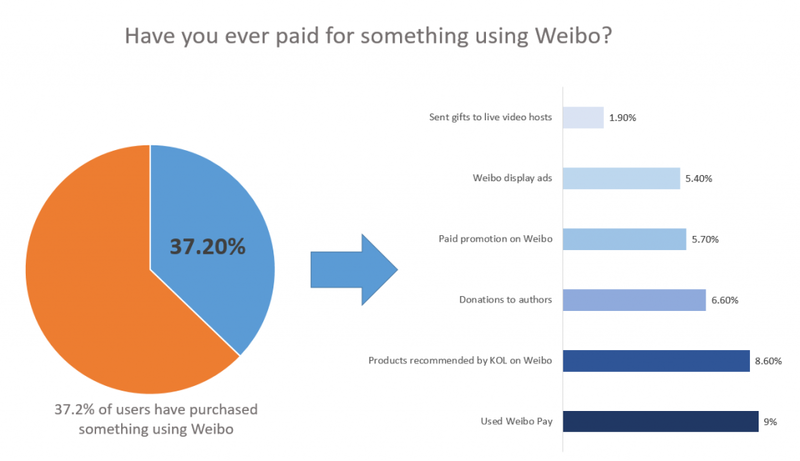 So 37.2% of these sample Weibo users have already paid for something using Weibo and almost a third of them have paid for some sort of promotion or advertisement. 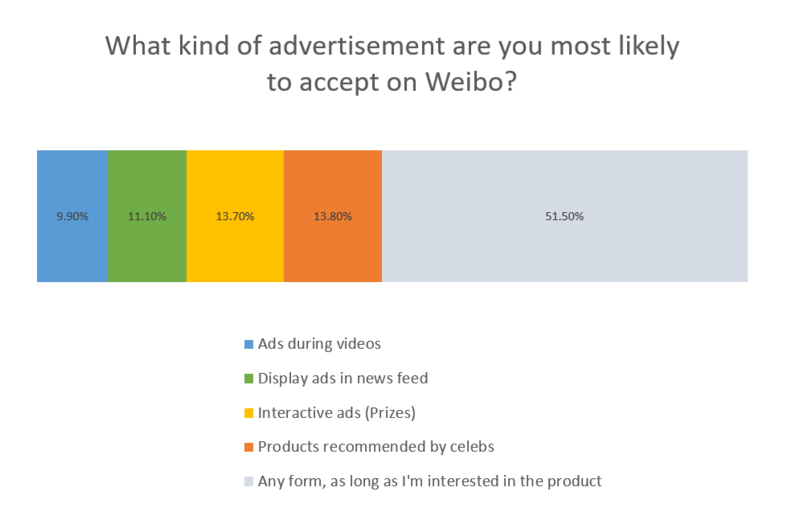 But what do Weibo users really think about ads? 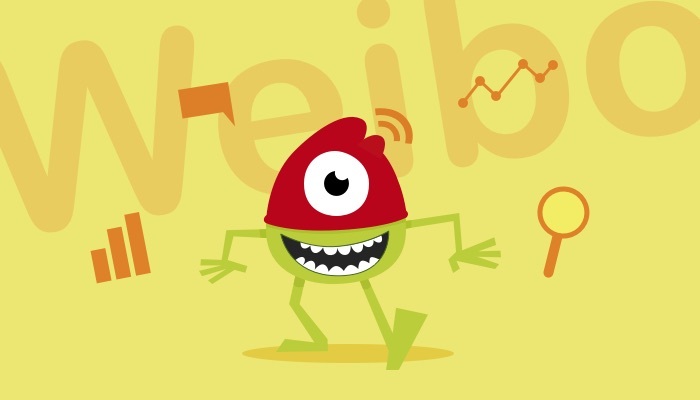 Weibo users have made it blatantly clear that the content they appreciate the most on the platform is visual content so it comes as no surprise that they’re not too happy about video ads. 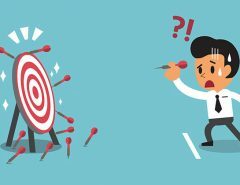 Surprisingly though, over half of all survey participants said they’d accept any form of advertisement as long as they’re interested in the promoted product. This once again goes to underline the importance of effective targeting! So there you have it! Contrary to popular belief, Weibo is NOT dead! Not only is it surviving, it’s flourishing. The management team behind the platform have seemingly managed to remove the fake users and other aspects that had been polluting Weibo for a while and have even stimulated an increase in the number of monthly active users. WeChat is most certainly strong, but it hasn’t yet won the war. Weibo, we salute you! 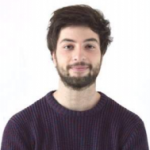 We hope you were able to get some interesting insights from the data and that they’ll help you to better manage your upcoming Weibo campaigns. 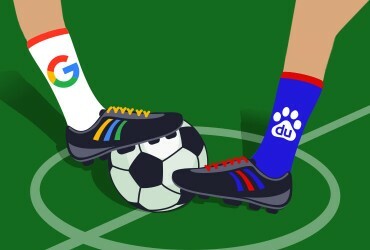 Oh and don’t worry, we haven’t forgotten about the Google VS Baidu awards we launched last week! Come back next week for our Cinema & TV Shows edition! Next Article What will WeChat mini-apps look like?